So I just crossed paths with Penn Jillette (@pennjillette, fyi, who I didn’t know was a Greenfield native) in the nexus of famous people-sightings in the 413, Greenfield Coffee (here in Western MA, where I reside). 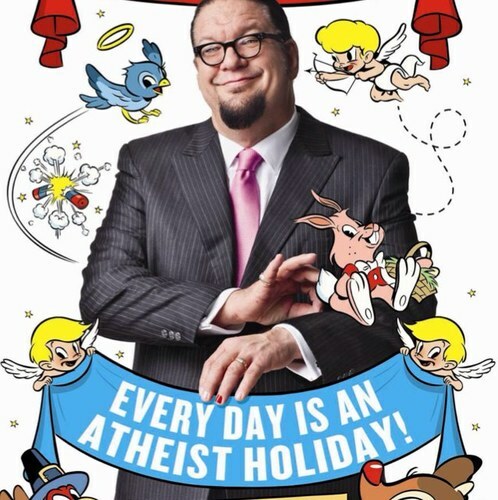 In fact, the joint was packed and he gave up a table just as I arrived – Thanks Penn Jillette! He is apparently reading tonight at GCC – and/but here’s the wacky part – I just so happen to be hopping on a plane tomorrow heading out to a certain “sporting” event taking place in a theater that bears his name! (posts to come!) Wacky.